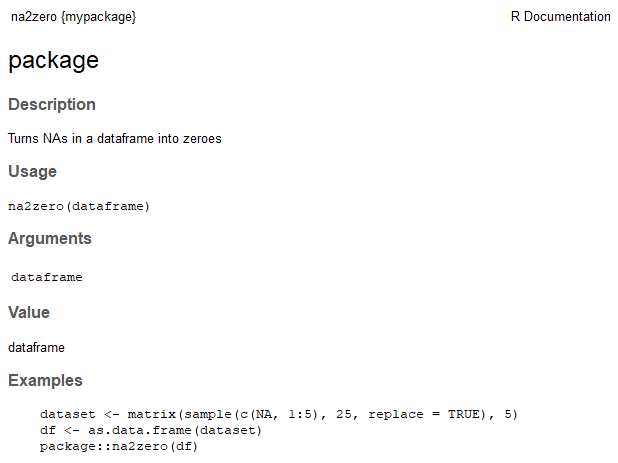 In this tutorial, we will look at the process of creating your own R package. 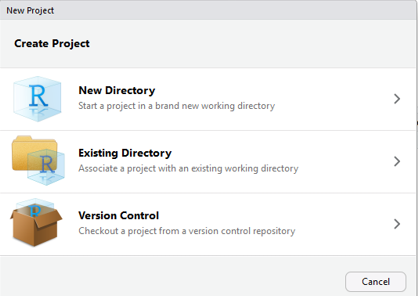 If you are going to create code and put it into production, it’s always a good idea to create a package with version control, examples, and other features. 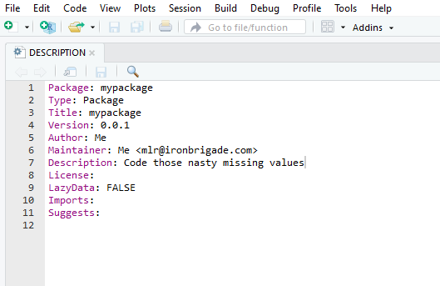 Plus, with RStudio, it is easy to do. So, we will use a simple example with one small function to show how easy it is. This tutorial is an excerpt taken from the book ‘Mastering Machine Learning with R – Third Edition’ written by Cory Lesmeister. The book explores expert techniques for solving data analytics and covers machine learning challenges that can help you gain insights from complex projects and power up your applications. 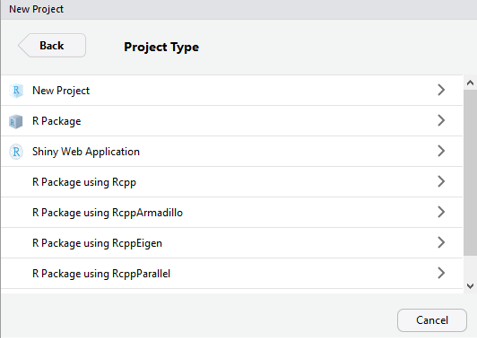 Click the checkmark for Generate documentation with Roxygen. Doing so will create this popup, which you can close and hit OK. You probably want to rename your function now from hello.R to something relevant. 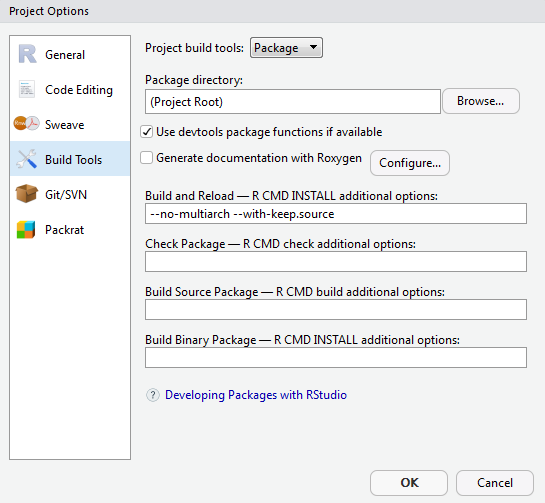 Now comes the moment of truth to build your package. Do this by clicking Build – Clean and Rebuild. There you have it, a useless package, but think of what you can do by packaging your own or your favorite functions, and anyone who inherits your code will thank you. 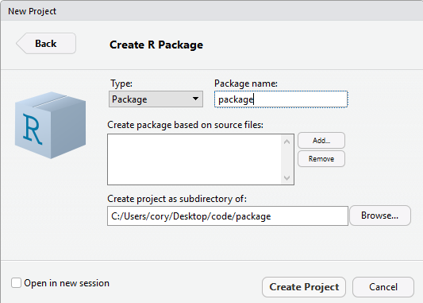 In this tutorial, we went through the process of creating an R package, which can help you and your team put your code into production. 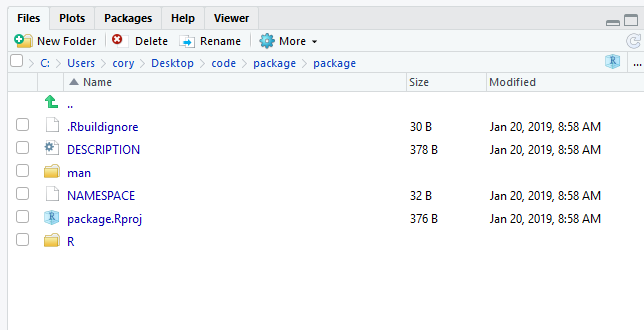 We created one user-defined function for our package, but your only limit is your imagination. I hope you’ve enjoyed it and can implement the methods in here, as well as other methods you learn over time. If you want to learn other concepts of Machine Learning with R, be sure to check out the book ‘Mastering Machine Learning with R – Third Edition’.